MICHIGAN'S MOST STUPID "ALL-TIME WIN"
It all had to start somewhere, didn't it? This massive list of football victories claimed by the University of Michigan must have had a grand and royal beginning, right? Probably a classic down-to-the-wire win over arch-non-rival Notre Dame, or a season-capping triumph over Ohio State. Or maybe a historic match-up against Cornell, or Harvard, or some of the other original "Beasts of the East". Not quite that classy, as it turns out. UM began their mind-numbing victory march against an opponent that no longer exists. The vanquished foe was not really a "college team". And the game they played was not really even "football". Racine College was an Episcopal preparatory school in Wisconsin, founded in 1852. Most boys enrolled at Racine College were grammar school students preparing for the Bachelor of Arts course. The collegiate department at Racine closed in 1887. The grammar school and a military school continued to operate until it closed in 1933. So there, right? Michigan sure put those boys in there place, eh? Oh, did we mention the final score of this historic win? This game alone tells you more about the UM mindset than you ever wanted to know. They are willing to claim that Racine was a college team playing college football. They want you to believe that you can get a score of 1-0 playing football. And they want you to believe that they are "leaders and best". According to accounts of the event, it was not "football" as we know it. "We play according to modified Rugby rules, which we will be able to send you, in printed form in about a week." "The Rugby game, then unknown to us, was to be played. The challenge was accepted, but no interest seemed to be taken in the game until late in the spring of the year, when elevens practiced evenings on the campus." The Chicago Daily Tribune called it "the first rugby-football game to be played west of the Alleghenies." The Chronicle (a weekly newspaper at the University of Michigan) called it "the finest game of Rugby foot-ball every played this side of the Alleghenies." Michigan went on to play one more "game" that season, against Toronto. That clash ended in a 0-0 tie. No "extra innings" were played that day, just the normal two-inning game of rugby-football. that are absolute bunk by any standard. These 21 "wins" are total fabrications by Don Canham, former Athletic Director at UM. They are as fake as a four-dollar bill. Our series examining the bogus baloney spun by Michigan about their "football history" will turn towards the classification of larger blocks of games that could be discounted based on general circumstances rather than specifics of the opponent. Do stay tuned! MICHIGAN PLAYS RUGBY AGAINST SURGEONS, SOLDIERS, AND CRICKET-PLAYERS, AND CALLS IT "COLLEGE FOOTBALL" - - - WHAT A JOKE! Did Michigan really challenge a cricket club to play "football"? And a surgical college? And a small military school? And they count those all on their "All-Time Wins" list? YES THEY DID, and YES THEY DO. And they feel so good about it! Indeed, where would the average Walverine be without their belief that Michigan has won more COLLEGE FOOTBALL games than any other college football team? is to count non-events from the days of the covered wagon. The Michigan Military Academy, was an all-boys military prep school in Michigan. It was founded in 1877 and closed in 1908 due to bankruptcy. Over the course of its 30-year history, the Michigan Military Academy had 2,558 enrollments and 458 graduates. That's 85 new students per year, graduating about 15 annually (for a graduation rate of about 18%). Very prestigious institution. No proof that the MMA had an athletic department. No evidence that they had a football coach or a practice schedule. Looks like the "big boys" from UM didn't exactly pick on someone their own size. The Peninsular Cricket Club began as a cricket club in 1858 but by 1885 it had evolved into the city's leading all-purpose athletic club, featuring baseball, tennis, and bicycling. The UM student newspaper described this team as "a club composed of men in Detroit who play without practice." 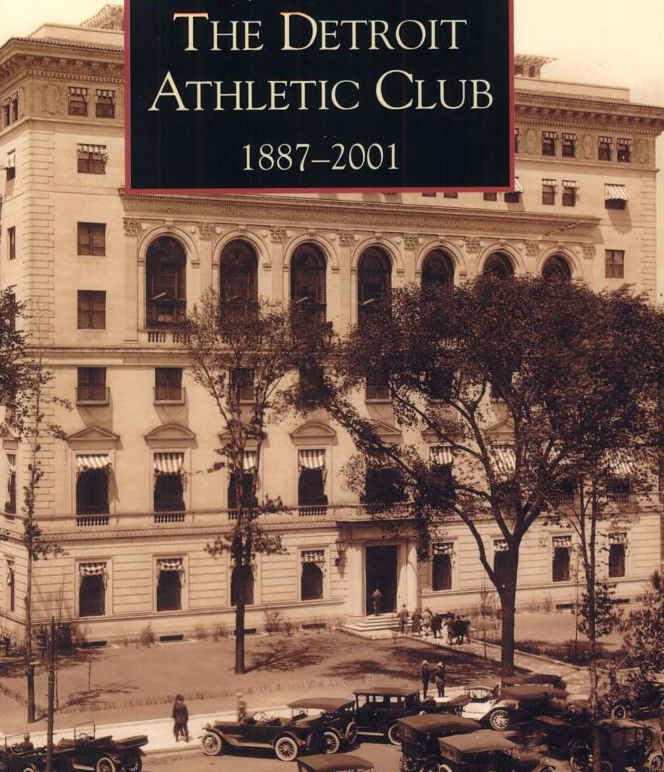 In 1887, it would become part of the new Detroit Athletic Club. For some reason, UM decided to play this "team" again. The Second Half of this game lasted seven minutes. Touchdowns were worth five points. The 1904 Michigan squad is called the "point-a-minute" team, and you can see why; they were playing against opposition like this small single-building surgical training school. We have identified 20 BOGUS WINS on the "all-time record" list that UM fans talk about incessantly. Their self-proclaimed lead over Notre Dame is 34 wins. We are now merely 15 games away from proving that Michigan is NOT IN THE LEAD FOR ALL-TIME COLLEGE FOOTBALL WINS. More to come on this web site! FIVE MORE "GAMES" FROM THE 1800s THAT MICHIGAN COUNTS AS "FOOTBALL VICTORIES"
Michigan fans claim the "All-Time Wins Record" in COLLEGE FOOTBALL, yet they count multitudes of outdoor events that may not actually have been what anybody today would think of as a COLLEGE FOOTBALL GAME. We've talked about this in the past, but now we've drawn a line in the turf and made a commitment to expose this egregious fallacy. The Wolverines were 1-4 in 1883 (which was one more win than they had the previous year, when they didn't play any games). They also only had one home game, and this was the one, as they put the hurt on an un-named group of guys with no historical record to review. There is no information available about this opponent, suggesting it was a pick-up team of untrained players. The University Club of Chicago is a private social club and is not affiliated with the University Of Chicago varsity squad. This opponent was likely a pick-up team of untrained players without a coach who never practiced together before game-day. This opponent came from a high school (prep school) that began competing against other Chicago-area high school rugby teams in 1888. That's one year after this "game" against Michigan. So this "game" was played against high-schoolers who had not yet started a football program. This opponent appears to be another pick-up team of untrained players. There is no information about the "M.A.A." except that it was located in Detroit. There is no reason to believe that this was a "college football team" by any definition. The Wolverines "won" by a score of 74-0. Just four days after shellacking this rag-tag group of pick-up players, the Michigan folks decided it was time for another "game" against them, and beat them again, this time 68-0. In less than one week, UM found a way to claim two college football victories. Hoo-hah, go blue, eh? "All-Time Wins Record" for college football. We have now identified fifteen (15) bogus wins on the Michigan all-time record. 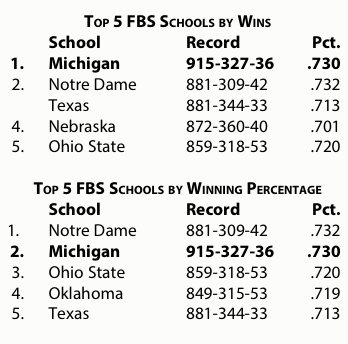 Subtracting these record-keeping errors would leave them with a 19-game lead over the Irish. But we're not done yet! Stay tuned, and watch this web site for more information de-bunking the wild wolverine dreams. 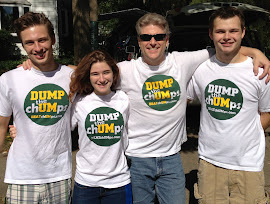 FIVE MORE BOGUS "WINS" BY UM FOOTBALL - CAN YOU BELIEVE THEY COUNT THESE? It's always cool when a college or university sets up a "mentoring program", in which students at the institution of higher learning can interact with and teach younger people the things they need to know at the next level and the things they have learned in school. It's a great way for the educational system to advance society. At Michigan, in the late 1800s, they had such a system in the athletic department, and it was used to teach younger folks about a modified rugby game that was gaining popularity. These were the transition years between traditional rugby as played in England, and the modern college football game we know today. The UM team would get together with kids and show them how to play the new-fangled sport. Nothing wrong with that, eh? Seems cool enough. Older kids getting together with younger kids, sharing their knowledge for the benefit of all. 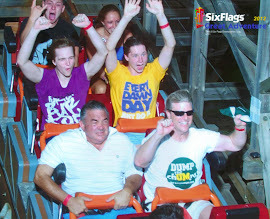 But at UM, they count the exhibition practices with the high school kids as regulation college football victories! Ann Arbor High School eventually became Ann Arbor Pioneer High School. The first recorded football league title for Ann Arbor Pioneer was in 1950, six decades after they "lost in football" to Michigan. There are no significant details available from this game. On November 7, 1885, Michigan officially began its season with an 8–2 victory over the Windsor team from the Ontario Rugby Football Union (ORFU). The game was played in Windsor, Ontario, under Canadian rules. The game was played under American rules, putting the Canadians at a disadvantage. The Windsor team had sent a telegram canceling the game, but the president of the Michigan Rugby Association traveled to Windsor on the morning of the game, and "a team was picked up, somewhat inferior to the team which met our boys last week." The Peninsular Cricket Club began as a cricket club but it had evolved into the city's leading all-purpose athletic club, featuring baseball, tennis, and bicycling. 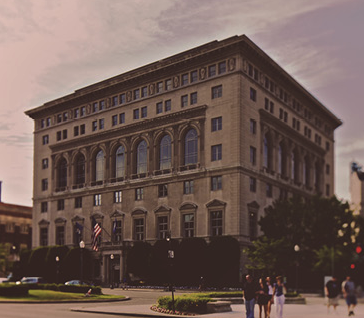 In 1887, it would become part of the new Detroit Athletic Club. You can see that Wolverine Historians are throwing everything they can into pumping up this so-called "All-Time Wins Record". Who among us believes that these "events"
are worthy of rank as COLLEGE FOOTBALL GAMES? If we subtract these five "wins" from the inflated total, along with the five "wins" over the Detroit Athletic Club, UM loses 10 games from their list, decreasing their "all-time lead" down to 25 games. We will continue to show you some of the more ridiculous game-claims this weekend. by definition, a college football victory. For that reason, we reported on the Detroit Athletic Club "games" as an example of the blatant mis-counting that's inherent to the so-called "All-Time Wins" Record. There are many more examples. Below is the list that UM included in its Game Notes for its last game of the 2014 football season. According to their count, Michigan is "the leader" by 34 games. Therefore, if we can identify 35 games with opponents similar to the Detroit Athletic Club, those wins can be subtracted from the UM total, leaving a different school (Notre Dame, Texas, et al) on top of the list. Michigan has already dropped out of the lead in the winning percentage list, even with dozens of "fake wins" in their total. Should 35 (or more) games be removed from their total, their winning percentage would drop correspondingly, knocking them further down that list. that do not qualify as college football victories. 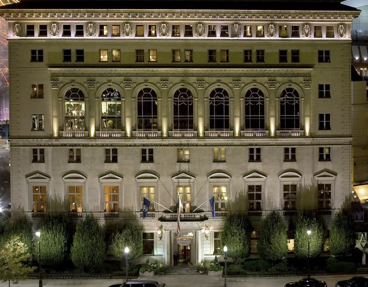 We started with the Detroit Athletic Club, never a college, now a banquet facility. Five down, thirty to go. Stay tuned! HERE IS THE "COLLEGE FOOTBALL TEAM" THAT MICHIGAN CLAIMS TO HAVE BEATEN FIVE TIMES AS PART OF IT'S "ALL-TIME WINS RECORD"
We've been looking over the "All-Time Wins Record" that Michigan folks claim to have, presumably for COLLEGE FOOTBALL. They never really specify that the wins are over COLLEGE TEAMS, but hey, let's go out on a limb and assume that's what they mean. They say they own the record for most FOOTBALL wins over COLLEGE TEAMS. They claim to have more than 900 of these victories. But when we look over the records, we find a number of so-called "wins" that were against people who weren't playing for a college team, many of which transpired before the advent of modern American Football. We will expose the fallacy of this bogus record in the coming weeks and months. University of Michigan in "football" five times? 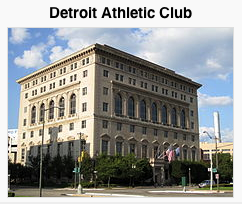 IT'S THE "DETROIT ATHLETIC CLUB"! Michigan claims wins over the Detroit Athletic Club in '88, '90, '93 (twice), and '95. To be clear, those years are 1888, 1890, 1893, and 1895. They supposedly played the formidable DAC two times in one week in 1893, with a total attendance for both "games" of 150 people. Common sense tells us that "football" - - - as we know it - - - didn't exist until players were allowed to throw a forward pass, which was legalized in 1906. A realistic view is that modern "college football" didn't exist until the NCAA began tracking it officially, which was in the mid 1930's. But you certainly can't count rugby games against a banquet facility as a college football game. "I find a lot of the things they do amusing." This would be one of those "things". It's amusing if everybody knows that it's nothing but a joke. It is our mission during the remainder of the football off-season to scrutinize this so-called record, and expose it for what it is; an amusing joke. SO MICHIGAN SAYS THEY BEAT THIS TEAM FIVE TIMES IN FOOTBALL? WHEN WAS THAT? This is the time each year with Michigan fans begin thumping their chests and crowing about how UM holds the "All-Time Wins Record" in COLLEGE FOOTBALL HISTORY. We are beginning a serious investigation into their claim. To begin, we ask if anybody can identify the football team that resides in the location shown by the photographs below. Michigan claims five wins against this "team". We will reveal the answer at 5:00 p.m. today. What kind of "Football Team" resides here in this building? Contemporary daytime view of the team that lost to UM five times in "football"
MICHIGAN CLAIMS FIVE FOOTBALL WINS AGAINST THIS OPPONENT? REALLY? This is such a great time of year for Michigan fans! No pesky "reality-checks" on the fields and courts of competition, just an unbridled ride down the rabbit hole into their delusional fantasy-land. You know the place, where UM holds the "All-Time Wins Record" for college football. That so-called "record" is one of the biggest delusions in American sports history. depicted below as part of its all-time wins total. THAT CALLS THE BUILDING IN THE PICTURE BELOW "HOME"? We will give you another clue this afternoon. What a great time it is to be a Michigan fan right now. The basketball season is mercifully over, the football team isn't a non-stop clown show, and there have been no major coaching changes to report in more than 12 weeks. Their vaunted women's gymnastics team has just wrapped up another big season, and fast-pitch softball is ruling the day. Life is good for the Ann Arbor Glee Club. We like to think of the holidays as "the most wonderful time of the year", but for UM fans, and especially for their fanatics, this time - - - - right now - - - is the best they could ask for. Without any major sports seasons in progress, without any major rivalry games to focus on, the average Wolverine follower under these circumstances feels compelled to focus on only the Past and the Future. Of course, they often like to go pretty far back in the Past to resurrect dusty memories of loosely organized outdoor games in the days of the horse-and-buggy. They love to count up those old-time conquests, and they like to call it "football". And they do go on about it. But they can change the subject on the drop of a hat, and immediately begin talking fervently about the Future. Did you know they are the Champions of the Future? Just ask them, they will tell you all about it. Nobody stands a chance against them in the Future, where they are invincible. Every Michigan fan knows this, and they relish their great beliefs in the Future, a time when they will ride triumphantly across the land in all sports and all seasons imposing their wills upon their helpless adversaries without measure. They believe deeply in their own Manifest Destiny. So you can imagine what a relief it is for the Bluebloods and the Walmarters alike to be able to ignore some of those nasty things that happened back in the foggy mists of ancient times, say, maybe as long as six weeks to six months ago. Those things don't matter now. is their distant past and their impeccable future. Nobody knows what the future holds, so all of their bluster about what's to come is just inflated tongue-wagging by the chUMps. As for the very distant past, the irrelevant time-period just before the advent of true "football", we will soon be mocking their silly claims in a series to begin later this month. KYLE AUSTIN JOINS "BLUE WALL GROUP"
We like the M-Live web site, we read the articles, we survey the comment threads, and many of us chip in with a few choice words now and then. We appreciate the multitude of articles on Spartan sports, the numbers of which are gradually gaining on the non-stop avalanche of coverage they provide for that school down in Ann Arbor. I remember in the month of May 2011, there were only five MSU sports articles - - - for the entire month - - - while UM coverage that same month comprised more than 30 articles. I would say the "gap is closing" on M-Live. But Kyle Austin has now established M-Live as part of the Sports Media "Blue Wall". 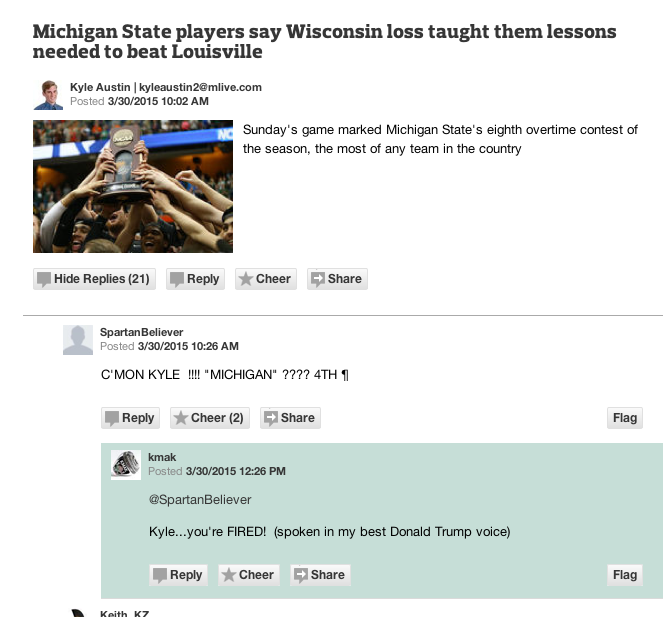 Sad to see, he described Michigan State as "Michigan" in a recent article. Some would call this a "typo", but that's total bunk. If the New York Times described the commander-in-chief as "President Biden", would that be a typo? If CBS News reported on ISIS by calling them NATO, would that be a "typo"? 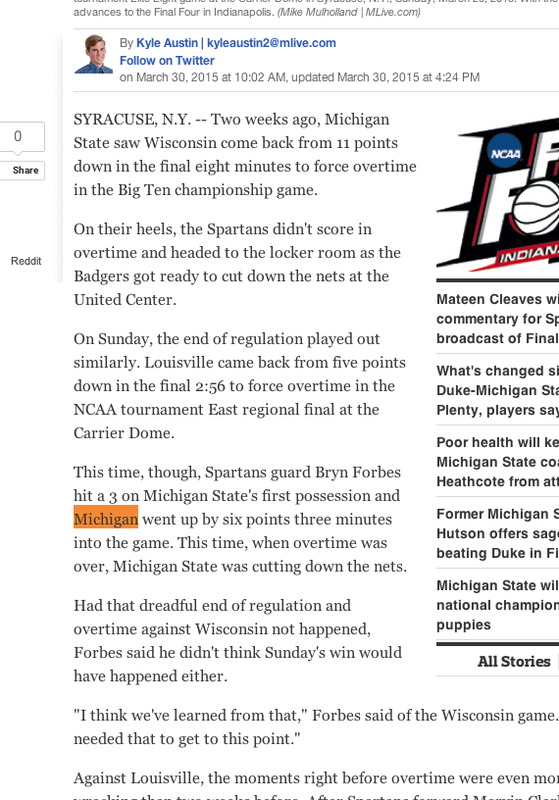 MICHIGAN STATE REFERRED TO AS "MICHIGAN"
This is bad, but what makes it worse is that at least two readers left comments on the article pointing out the "typo", yet Austin has not corrected the copy. So far, it stands as written, as if M-Live was "standing behind" the reference. 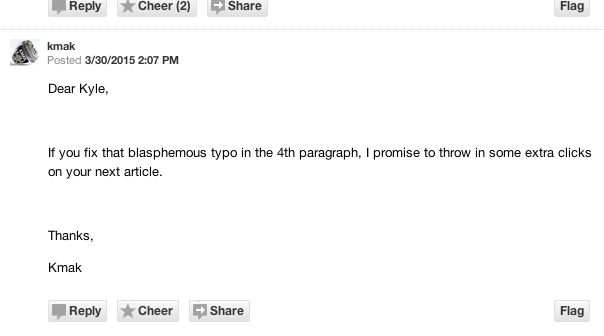 TWO READERS POINT OUT THE "TYPO"
We've seen reader comments on other M-Live articles that point out "typos" or incorrect stats, and generally the author of the article makes the correction and thanks the reader. But not in this case. We don't like to think that M-Live is just another arm of the Michigan Mainstream Media Machine, despite the obvious clue offered by its name. We call on Kyle Austin to make the correction. the claim that it was, after all, only a "typo". 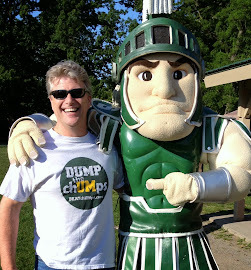 HOW MICHIGAN FANS BECOME "chUMps"
We all know someone who roots for the University of Michigan and IS NOT A "chUMp". Indeed, we addressed that part of reality years ago in this descriptive article. Sometimes the classy (or at least "reasonable") UM fan is an alumnus, sometimes not. There are exceptions to every rule. Now we have yet another opportunity to separate the decent folks from the chUMps. 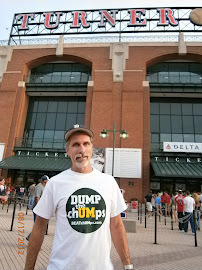 After several years of jaw-jacking and lip-flapping about their great team, their great coach, and their great program, the Wolverine fan-base was left with a season that makes dumpster-diving look like fun by comparison. 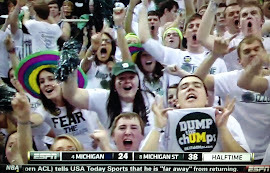 Rather than taking it in stride, and/or with class, the majority of UM-lovers have resorted to taking crap-shots at Michigan State and Tom Izzo. Why can't Michigan fans be classy? The chUMps would be well-served to follow MY EXAMPLE. Just last week on this web site, I offered my heartfelt congratulations to both the men's basketball team and the women's basketball team at Michigan. Sure, those teams didn't do much this year, finishing in 8th-place and 9th-place in the conference standings. But I picked out some great aspects to their teams and their programs and tipped my hat to them for the things they do well. "They respect us in every game by trying like crazy to beat us, and they have given us all we could handle in nearly every game for many recent years. Their players bring their "A-Game" against MSU repeatedly, and they have some good talent. The current coach has been recruiting well, so I'm expecting a continued struggle to win against them on a consistent basis." 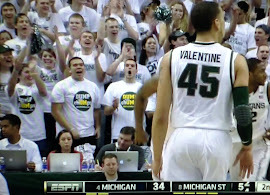 "You have to love a Spike Albrecht, coming out of nowhere to hit big shots and have big games. Great to see them having to rely on walk-ons like the rest of us. Overall, it seems like Michigan has a better team under Beilein than his immediate predecessors (though we haven't done the math on that yet, and we will). He seems to be a pretty good coach." Can you imagine what they might sound like if they showed any class or self-respect, instead of blathering on with some nonsense about their great past and equally great future? Be sure to respond in kind to any Michigan fans who show dignity, as they are indeed a rare breed. IT'S APRIL FOOL'S DAY FOR MICHIGAN SPORTS!